Social media marketing is a large part of SEO and is the most effective and least expensive way of marketing your products or services. The first step of this process is to write blog articles explaining how your products can help people in their everday lives which will help you target specific search keywords. Let’s say a visitor is searching on a social media site for sports injuries, then write your article explaining how your services or products can help with this. Or you might specialize in holistic medicine so each of your articles would target different types of illnesses. Your social media articles should have blow out of the water quality SEO content people are looking for. There is no doubt videos have the capability to show your products in action compared to just text. Many people either have limited time or short attention span so I recommend embedding a Youtube video below your article text. Keep your video marketing to around 3 to 5 minutes and the first 30 seconds must grab the visitor’s attention. The output format of your videos should be MPEG-4 AVCHD 1920 x 1080 en encoded with H.264 codec which Adobe Premiere will do quite nicely. If your social media marketing article has great quality content, visitors will share it and their followers as well increasing the visibility of your products exponentially. To keep visitors returning to your social media site frequently, write new articles on a regular basis. Youtube was purchased by Google for $1.65 billion dollars and has over 1 billion visitors per month. If your videos are SEO optimized correctly, they can show up on Google search results. Writing informative and engaging articles for your social media pages is definitely the way to go for content marketing. One thing Google frowns upon is plagiarism so write articles in your own words to alleviate the possible of your blogs being penalized on searches. SEO geeks know quality content is the one of the major factors when implementing internet marketing and many people ask me “what is great quality content”? Blogs containing 500 to 800 words integrated with your targeted long tail keywords can be good for SEO but will your visitors read the entire article if it’s long winded and not informative? Great internet marketing is a result of providing outstanding content which attracts visitors and keeps them returning on a regular basis. We all know people search the internet for information and one must provide the best possible blow out of the water content to attract and keep visitors returning to your blog or website. If you are pushing your products or services, write your blog content to target different audiences. Let’s say your company sells biomedical feedback devices that helps with tinnitus or elderly people with arthritis. Obviously your 2 blogs would be about what causes arthritis and tinnitus and how your products can help with the symptoms. Or maybe a blog about sports injuries with information how your products help with those as well. There are a percentage of people who would rather watch a video than read and this is why a video marketing campaign should be part of your blog or website content. Youtube has proven this with over 1 billion visitors per month. The best method I’ve found is to embed a Youtube video just below your blog article so you cater to those who want to read, watch a video or both. I recommend keeping your video around 3 to 5 minutes for those having a short attention span or with limitied time on hand. Write new and interesting blog articles on a regular basis as this will keep visitors returning and more than likely will follow and share your content on their social media pages which can dramatically give your website or blog more page authority resulting in a better search engine page results. Remember the goal is not to write about how your products/services are less expensive than your competitor or brag about your company. Write informative articles about how your products/services can help visitors with their everyday life. Determination and imagination is the key to writing great SEO quality content that visitors are looking for! Video marketing is the future of content marketing and appears to be the best method of showing off your products or services on the internet. Youtube receives more than 1 billion visitors each month so no doubt this is a viable source of content marketing. Optimized videos on Youtube or Dailymotion can achieve good SERP results and this article explains why video is an important part of content marketing. Youtube prefers high definition videos 1280 x 720 dpi or higher in resolution. 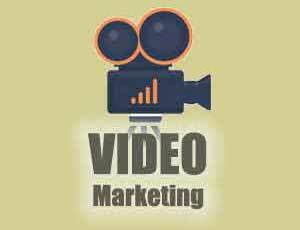 Video description should begin with http://www.yoururl.com for a backlink to your website followed by a description of the video with targeted keywords. Under advanced setting choose category, video language, recording date and under caption certification choose “this content has never aired on television in the US. Dailymotion.com is another video sharing service limiting your video to 2 GB and 60 minutes. Frequency.com is like a video social bookmarking site where you can put all the video URL’s from Youtube and Dailymotion. Vimeo is similar with the exception you can only upload a certain amount of videos each month without paying for a subscription. Embeding videos on your website and social media blogs engages visitors more which results longer stays thus reducing your site’s bounce rate. One thing to keep in mind when producing and editing your videos is to make sure the first 30 seconds grabs the visitor’s attention and total video length of around 3 to 4 minutes. So, your website design is finished and it’s time to acquire some high domain authority backlinks. Domain Authority is Moz’s algorithm metric for how well a domain is likely to rank in Google’s search results while Page Authority calculates the strength of an individual web page. Google’s page rank updates around every 3 months while Domain Authority updates about 2 times per month. Compared to Google’s page rank, Domain Authority is more accurate and gives better analytics of the website’s SEO performance. This article is about building natural earned links, so let’s get started and I’ll give you some important information below to follow which just about guarantees an excellent SERP for your website. Google rewards Webmasters who obtain natural earned backlinks by utilizing great content that keep visitors on your website. Algorithms are now smart enough to know the difference between easy and earned backlinks. There are some places on the internet that will submit your website to thousands of places for a fee, however, Google knows you can’t naturally earn this huge amount of backlinks in a short period of time and essentially most of these links may not be from high domain authority sites. Several hundred low quality links won’t equal the benefits you acquire from only a few high quality sites. 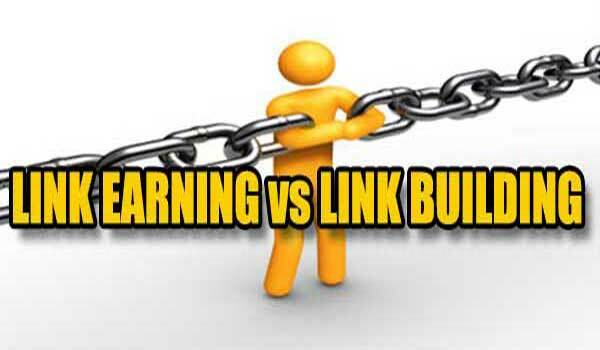 A lot of people ask me “how do I obtain earned links naturally”? The answer is simply hard work and if you take the easy way, more than likely your site will get penalized by Google. There are many social media sites with high domain authority which are a gold mine for obtaining natural earned backlinks for your website pages. But first you need some informative blog articles on your website about your products or services that your social media blogs will link to (via anchor text) giving your website pages more page authority. Your social media blogs must be eye catching with great content including your targeted keywords in the heading. Most will allow you to import an image from your website blog page URL which gives you a earned link as well. I would recommend giving this images an alt tag. In the body of your social media blog include your long tail keywords with anchor text links to revelant blog pages on your website. Don’t use the same anchor text keywords repeatedly as this will be considered keyword stuffing so spice it up with different anchor text keywords linking to different URL blog pages on your website giving you link diversity and page authority. Just below your social media blog content, I would recommend embedding a Youtube video as this will give visitors more information about your products or services. Your goal should be to write blow out of the water blog articles that visitors will share and their followers as well increasing your backlinks exponentially. There are contradicting articles on the internet stating social media signals don’t impact SERP, however, how many times have you done a Google search and in the results are Youtube videos or social media sites such as Pinterest and WordPress. 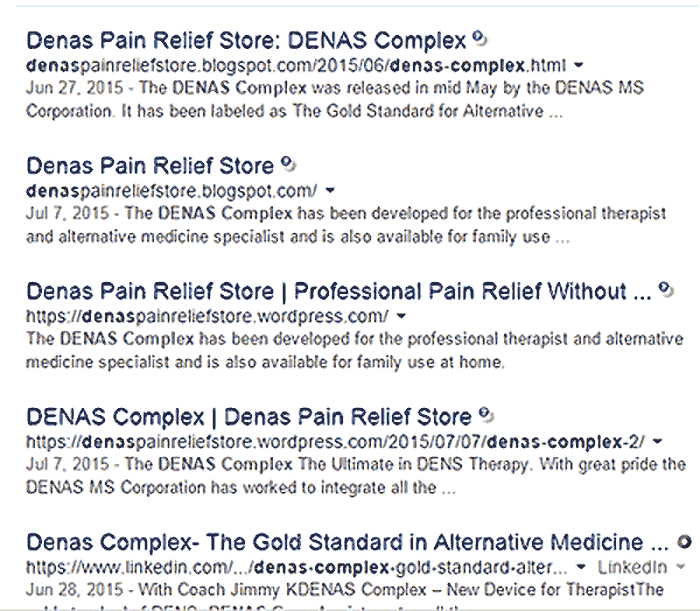 I did a search for Denas Complex and on page one is the results below. As you can see there are 2 Blogspot, 2 WordPress and 1 Linkedin URL results which clearly shows social media sites have an impact on SERP if your blog articles incorporate original engaging content that visitors are looking for. So remember, natural link earning can be a long and tedious method of the SEO process but pays off in the long run and implementing black hat SEO techniques will only get your website penalized. These are some SEO methods to consider for your web pages. Page loading time should be around 3 to 5 seconds so makes sure your embedded videos are not set to autoplay and keep images optimized at 72 dpi. Limit useage of .png images as these are the largest file sizes compared to .jpg images. The goal is to keep visitors on your site as long as possible and keep them returning on a regular basis so quality content is by far the most important. I recommend about 500 words per page with a combination of pics and 1 or 2 embedded videos containing useful information about your products or services. Make sure your website is mobile responsive because Google is now requiring this or face a penalty on mobile searches. Using Bootstrap framework to make your site responsive is by far the most popular method today. Get a free Google Webmaster account which includes statistical analytics, and add HTML tracking code to the <head> section of each page. One thing I failed to mention earlier is to have a separate web page for different long tail keywords. Also try to have these keywords in the URL yourdomain.com/pagenamewithkeywords.html of your web page. Google like original fresh new content on a regular basis so add some new information to old pages or add new pages frequently making sure these new pages are included in your sitemap.xml file. This process ensures your website is ready for an Off Page SEO campaign which makes your website search friendly. Below is some valuable information to help you implement on page SEO. The most important first step is to choose your targeted keywords and then use Google’s keyword planner, https://adwords.google.com/KeywordPlanner, to find out the competition for your keywords. If your keywords have high competition, I recommend using long tail keywords. Let’s say you are a local business selling cars then your long tail keyword would be “Kia Hyundai sale in Columbus GA”. The included city and state keeps you from competing world wide for Kia and Hyundai. Next, place these long tail keywords in the page title and description tags located in the <head> section of your page. The page description tag should be a descriptive and informative sentence about your business or services containing your targeted long tail keywords. Place these keywords in your H1, H2 and H3 tags which should be bold and large font type. Your most important keywords should be in the first sentence of the first paragraph and keep keyword density around 3%. Image file names should contain your long tail keywords and the alt tag for that image as well. Embed videos in your pages as this shows your products in action better than text or images. Videos are more engaging and visitors will stay on your site longer thus reducing your bounce rate. 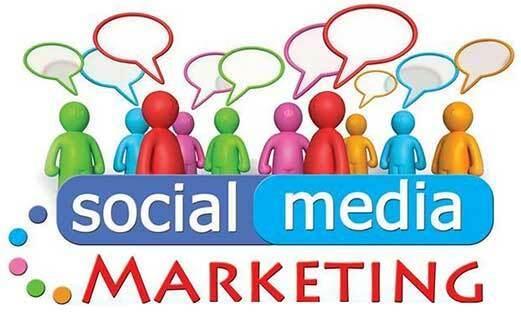 Internet marketing for your products or services was rather difficult prior to the onset of social media. With the right social media marketing campaign there is no doubt you can achieve success beyond your expectations. Many of these sites have a high domain authority which can give your ecommerce site an excellent SERP (search engine ranking position). But of course the first question is how do I get started? First make sure your website is optimized and ready for a social media campaign. Have you implemented On-Page SEO for your websites? Does your website contain engaging original content? Does your website contain embedded videos about your products or services? Have you implemented Google Analytics? Next write informative articles about your products or services with promo videos showing your products in action. Setup social media accounts on Facebook, Google+, Pinterest, Linkedin, Tumblr, Blogger.com, WordPress and Youtube. As I’ve mentioned before in other articles, text and pics alone will not engage visitors to stay on your website and reduce your site’s bounce rate. Articles you generated for these social media pages should have embedded as well. Make sure each blog is around 400 to 500 words and include anchor text backlinks in the body of your text to different pages on your website pages giving them more page authority. 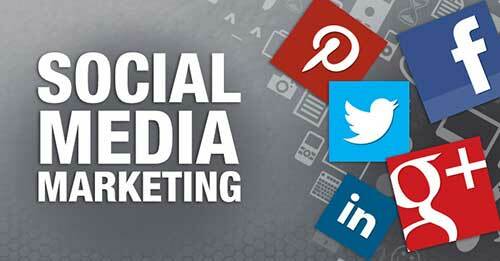 Social media marketing is not something you do until you achieve your targeted SERP. New blogs need to be added on a regular basis because Google loves new content as this engages customers to keep coming back to your blog. Using social media marketing to increase your website’s page authority is how you achieve excellent SERP because visitors who follow your blog will result in their followers linking back to your blog increasing your backlinks exponentially to your website. Having switched from Serif WebPlus software to Bootstrap web design several months ago, I can honestly say it outputs responsive websites which seems to be compatible with all browsers and the web pages apparently load faster which has definitely exceeded my expectations. You can also incorporate lightboxes, picture carousels, modals, forms, animations, menu dropdowns. etc. 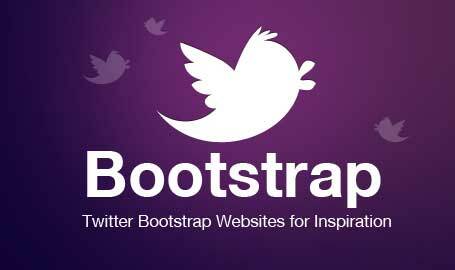 by downloading free available plugins for Bootstrap. There are many free templates available on the internet which you can modify to suit your needs or if you are familiar with HTML 5, you can design your project from scratch. As of April 21, 2015 Google requires all websites to be mobile responsive or get penalized on mobile searches although you will still retain your ranking on laptop and desktops searches. Google’s reason for doing this is because around 50% of all internet traffic is now on mobile devices and increasing annually. The Boostrap layout consist of a grid system using rows with 12 columns per row which are very flexible because you can have several rows within a column or you can have 2 columns per row if each are 6 or one column 7 and the other 5. Any combination of columns per row can be used as long as they don’t exceed a maximum of 12. The reason for this is because on a large screen obviously 12 columns per row will display across the screen, however, on tablets only 6 to 8 columns display per row and on smart cell phones 1 or 2 columns are displayed per row. The rest of the columns are stacked vertically on the screen so you don’t have to zoom in and scroll left to right like you would have to do on a non-responsive website. There are some online Bootstrap drag and drop GUI’s but most of them are limited to some degree. If you wish to learn this new way of responsive web design, I would suggest downloading some free templates and use an HTML5 editor to view the code and what it does.